Earth Day is meant to be a time when we are more conscious about our environmental choices- biking, recycling, and cleaning up our natural places. This means that we should also be more conscious about what we eat today, checking every label so we aren’t destroying rainforest on Earth Day. Check the milk you drink with breakfast- does it have Vitamin A palmitate in it? How about the toothpaste you use to brush your teeth- does it contain sodium laureth sulfate? 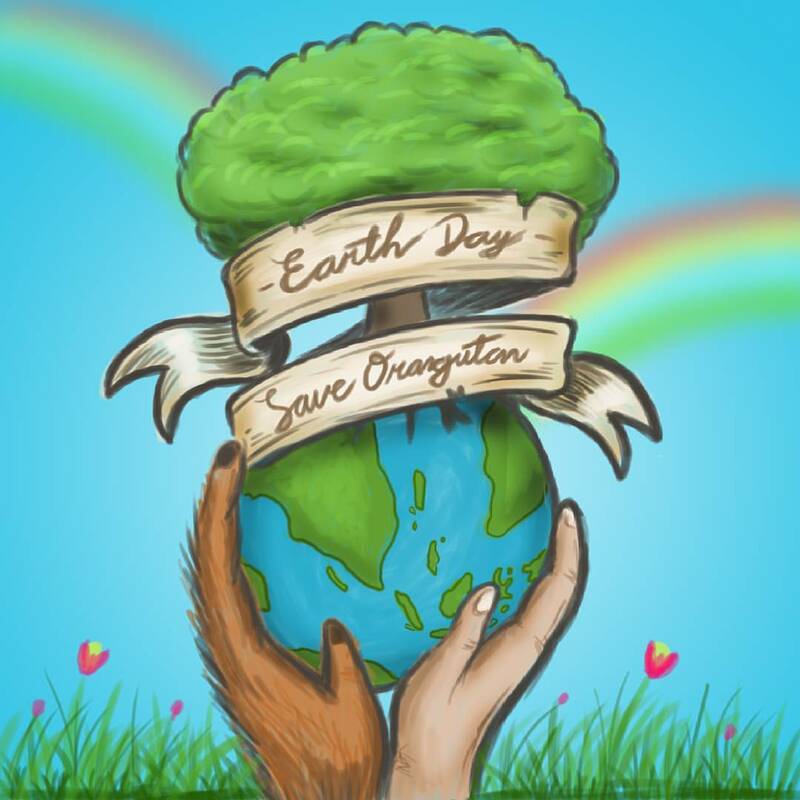 Check your cheese before lunch and make sure you’re having sustainable candy for dessert, because orangutans are relying on you. Are you going out today? Don’t take a diesel-running car- biofuels like diesel also contain palm oil. Instead, bike or take a different car- you will be saving the rainforest every second of your trip. If we all work together this Earth day, we can save the rainforest from the threat posed by palm oil. Thank you for saving the rainforest this Earth day. Nice graphic choice! I am so glad that you are helping everyone else help save the rainforests off the coast of Asia.